ordable payment plan for you). Relax knowing you are booked in with the best! Be inspired, get ongoing support and guidance, and lots of “extra’s” along your journey with us! Look and feel relaxed, confident and totally STUNNING on your big day! Please understand that bookings are not secured until your deposit has been paid. Due to popular demand, we are unfortunately unable to hold dates, so we do strongly advise if you want to book, to please get in touch ASAP to avoid disappointment! We have several payment options including a convenient and affordable payment plan which we can tailor to suit your budget! Are you having first look couple photos (prior to the ceremony)? 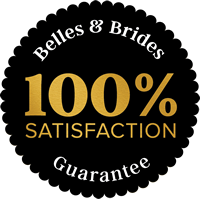 After receiving my quotation, should I proceed with my booking with Belles & Brides, I agree that I have read and understood the booking terms and conditions. We have a stunning studio in central Hamilton which is available for you to book for your preview and consult, and also for private use on your wedding day should you choose! We also offer a fully mobile service anywhere throughout the upper North Island and further afield as required. Our services are stictly by appointment only. Please complete the contact form for a free quote! Your wedding day is a day like no other! A day when you get to look and feel absoloutely amazing! It is a day where you want everything to be as close to perfect as possible, so you can concentrate on marrying the person of your dreams, having fun with your family and friends, and enjoying every minute of your big day that you have put so much time, love and effort into organising! 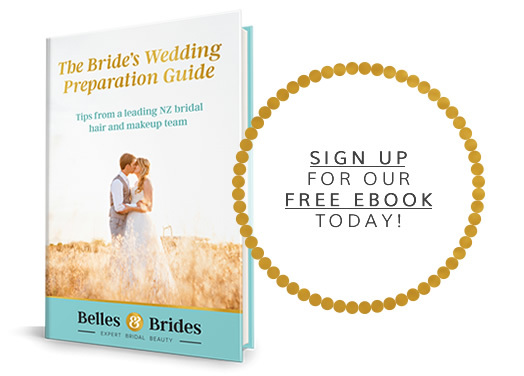 We know just how important your wedding day hair and makeup will be in helping you to look and feel totally gorgeous, so that you can walk down that aisle with complete confidence! We want you to LOVE your hair and makeup, to enjoy your special day, and to cherish your wedding day memories and photographs for a lifetime! It is our promise to you, should you choose to book with us, that we will do everything we can to help ensure your wedding dreams become a reality. Limited dates available for 2017 & 2018!